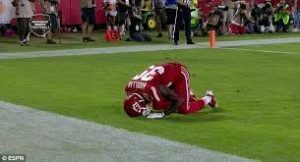 Husain Abdullah, a Muslim Soccer player, was given a penalty, Monday, Sept. 29, for celebrating the touchdown (but) he had just scored prostrating. About 10 minutes from the end of the game against the New England Patriots, Husain Abdullah intercepted a pass from the famous quarterback Tom Brady and scored a touchdown to make the score 41-7 in favor of his team. 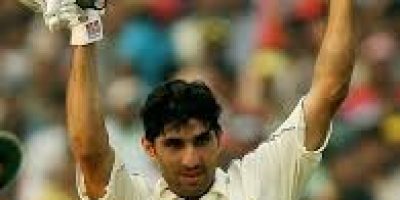 The case has sparked an outcry in the United States. Social networks but also the American media quickly pointed the “double standards”, which Husain Abdullah was a victim, while many Christian players celebrate their touchdowns by religious homage, like Tim Tebow, a famous player for its performance, but also for piety that is used to express the field, putting one knee every time he scores a touchdown. A gesture so famous that the word “Tebowing” has resulted. Asked to comment on the case, the NFL acknowledged that the referee should not have been punished for Husain Abdullah prostrating. Husain Abdullah is openly practicing Muslim. 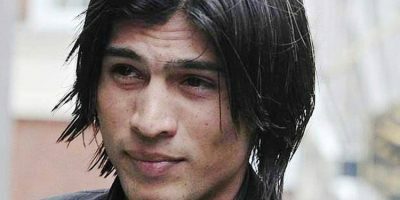 In 2012, he put his career on hold to perform the pilgrimage to Mecca (hajj) with his brother, Hamzy, also a football player.